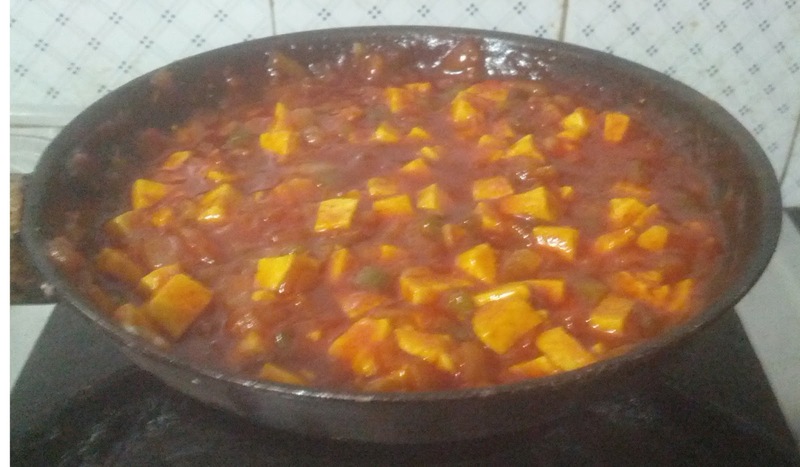 Recipe by Naiya Sheth: As we all know Tandoori Paneer is all time favourite delicious food taste. In earlier recipe we made tandoori paneer toast and now it's time to make super delicious Tandoori Paneer Pockets with pizza base. It is super delicious homemade recipe. For better result, I used homemade creamy masala paneer. Even normal paneer will also give the good result. So, let's try this easy and yummy recipe as starter or snack. At last, add paneer cubes and tomato ketchup to it and mix well. Again cook for 1 minute. Add grated cheese when hot and mix well. Our filling is ready. Keep aside at room temperature. Cut pizza base in 2 parts and slit hem. Apply some butter inside (opt.). Fill above filling in it properly. Appy butter on both sides of pizza base and shallow fry them on a non-stick griddle. 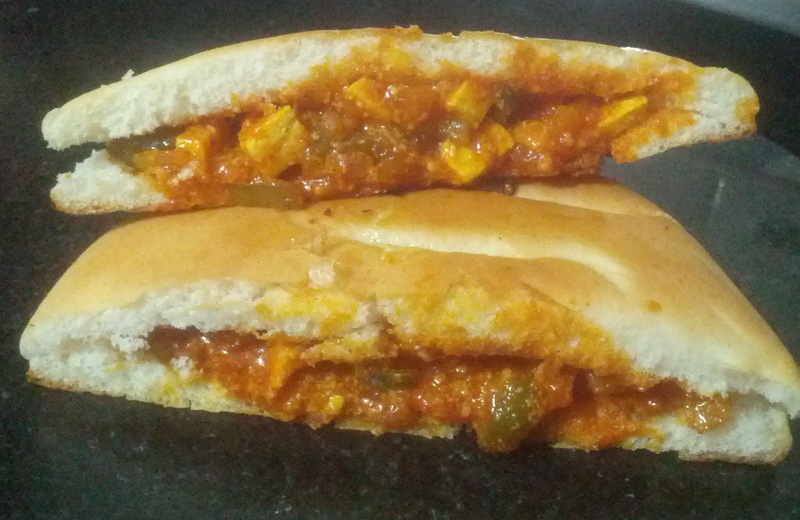 Hot and delicious Tandoori Paneer Pocket is ready to serve.